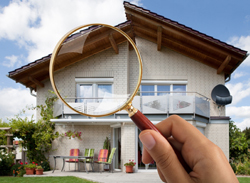 When it comes to buying and selling North Edmonton homes for sale, home inspections are crucial for both sides. You can’t just hire an inspector and be done with it, there are things you need to know and do. Here is an article that may help with this. When buying North Edmonton homes for sale, here are a couple lists of things buyers will need to know. Ask your realtor who they recommend. Make sure the company the inspector works for is insured. Get a list of everything that is included in the inspection, and how long it will take. Ask the inspector for references. Make sure you and your realtor are allowed to be present at the time of inspection. After the inspection is complete, ask for a copy of the report. Ask how much the inspection will cost. What is covered in the inspection. 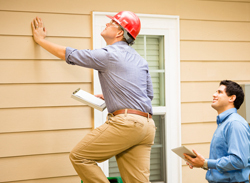 Find out what the entire process of a home inspection is. If you have questions about anything, ask the inspector. If it is a large issue ask the inspector how important it is. When selling North Edmonton homes for sale, here are a couple lists of things buyers will need to know. Make sure the power is left on the for the home inspection, even if you have moved out. The inspector will also need to test power throughout the entire house, so make sure all light bulbs have been replaced with new bulbs. In the basement make sure to move items away from walls so the home inspector can check for any cracks or leaks. If the home has an attic, make sure the inspector can access it easily. Home inspections are one of the most important things when buying or selling Strathcona homes for sale, and these are just a few things you need to know. For more information contact your local North Edmonton real estate agent Ahmad Sai today!